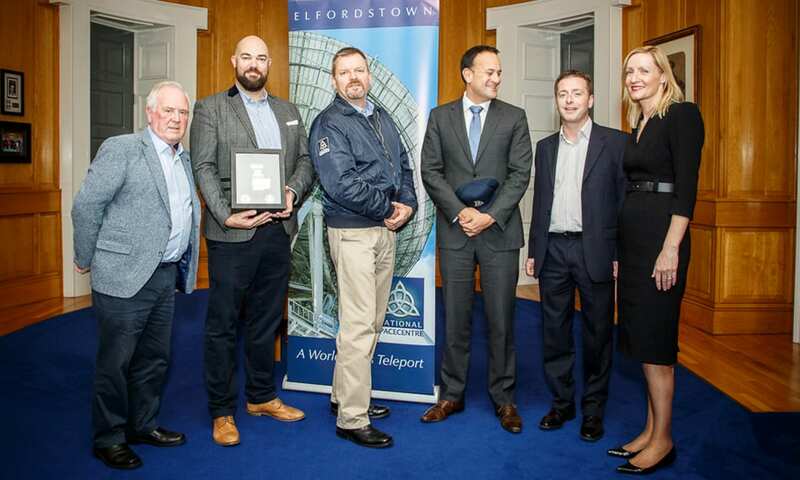 Drone Consultants Ireland (DCI) was announced by An Taoiseach, Leo Varadkar, as the winner of the Ireland Regional Competition of the 2018 European Satellite Navigation Competition (ESNC) awards. DCI won the regional competition with its Jack-In-The-Box concept and will represent Ireland as they proceed to the European Finals which take place in Marseille at the ‘Space Oscars’ during European Space Week on the 4th December 2018. Jack-In-The-Box is a self-sustaining, aircraft-deployable drone system that can be parachuted to remote and inaccessible locations, enabling it to gather critical data where natural disasters occur. This technology has the potential to assist rescue services in saving lives and calculating the safe and efficient deployment of resources. DCI is based at the Media Cube in Dún Laoghaire Institute of Art, Design & Technology (IADT). The company was founded in 2016 by Ian Kiely and Peter Downey to provide consultancy and support to a variety of emergency response services, government entities and private clients as well as organising and hosting the Drone & Tech Expo Ireland. Ian Kiely is a recent alumnus of Phase 2 of the New Frontiers programme at IADT. For further information, contact Ann Marie Phelan, Enterprise & Innovation manager at the Media Cube, IADT: annmarie.phelan @ iadt.ie / 086 701 5922. 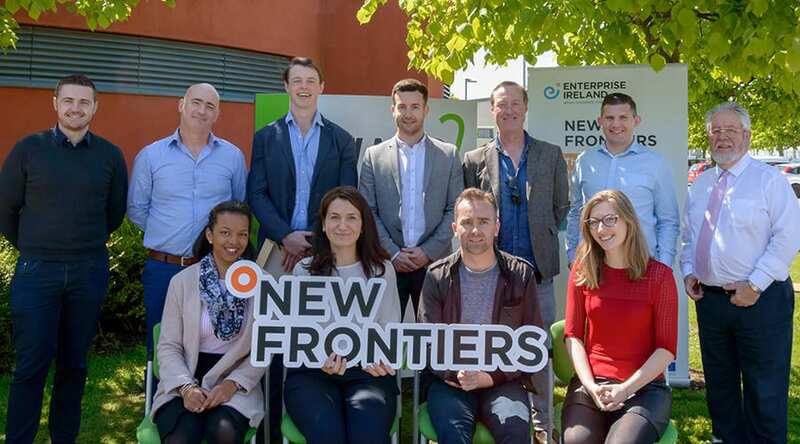 12 ambitious entrepreneurs with innovative startup ideas have made it through a competitive selection process for Phase 2 of the New Frontiers programme in Galway, funded by Enterprise Ireland and delivered by Galway-Mayo Institute of Technology. The future business leaders started the programme yesterday, which is delivered by GMIT at its Innovation Hubs in Galway and Mayo. For the next six months, they will dedicate themselves full-time to the development of their early-start companies – receiving support in the form of training, mentoring, networking, R&D input, office space and more. A stipend of €15,000 is paid to each participant, subject to satisfactory performance and development reviews. 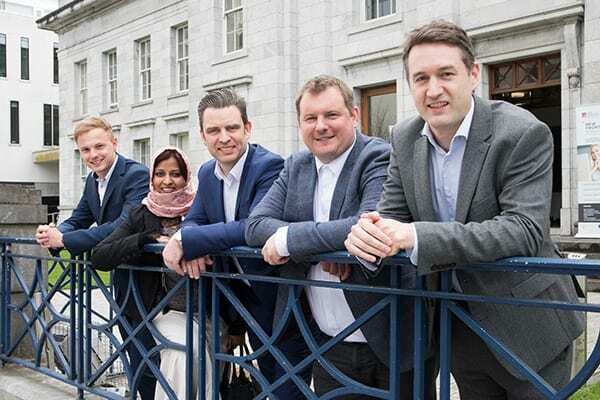 These 12 participants follow in the footsteps of 83 other startup founders to complete the programme at GMIT, which has supported nearly 1,500 entrepreneurs nationally. Mark Basquille, who is developing a food supplement for athletes. 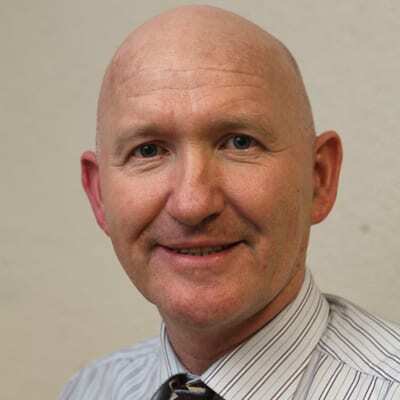 Tony O’Kelly, New Frontiers Programme Manager at GMIT, is looking forward to his seventh year supporting innovative startups on New Frontiers. 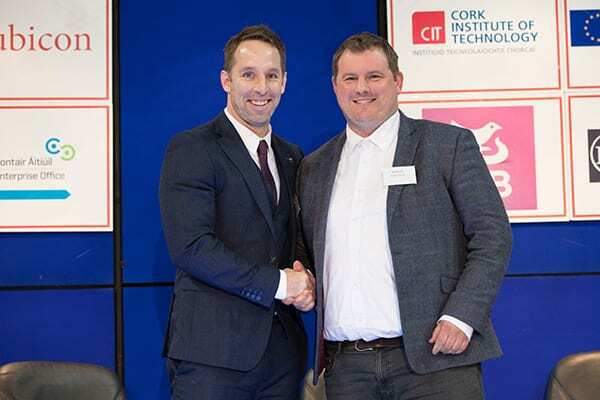 Since the programme started in 2012, 23 GMIT New Frontiers start-ups have raised over €1 million through Competitive Start Funding (CSF) and over €10 million in private plus High Potential Start-up (HPSU) investment. Find out more and see our calendar for upcoming deadlines around the country. 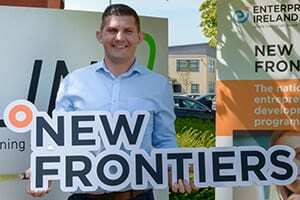 New Frontiers Programme Manager at IT Blanchardstown, Colm Ó Maolmhuire, says goodbye to the latest Phase 2 cohort. 10 entrepreneurs developed their early-stage business ideas during the six-month programme, with support and training from industry experts and the staff at the Learning and Innovation Centre (LINC). When we started on this challenging full-time programme in the cold days of November 2017, it was the energy and enthusiasm of the entrepreneurs that reminded me we were heading into the bright days of early summer 2018. Those days have now arrived and I am delighted that 10 strong, committed entrepreneurs are leaving us – in a good way! As any startup entrepreneur knows by now, it’s chiefly yourself who will be putting in the hours – the vast bulk of the work done in an early-stage startup is by the founder and any co-founders. The real benefit of participating in a support programme such as New Frontiers is exactly that – the support. We provide structure, time and space to develop from a well-presented business case to a ‘rocking & rolling’ enterprise. Well, that’s the plan anyway! The formal outcomes of the programme are an investor-level business plan and pitch. But, in order to get there, many other actions have to be started and completed. I joked with this group in our first workshop that six months of Phase 2 would go faster than the six weeks of Phase 1. They didn’t believe me, until it did go faster! Phase 2 requires such a step up in all aspects of starting up that the best advice is to have an action plan and milestones; then work to them. That’s the benefit of the reviews within the programme – keeping on track and adapting at the same time, in a very tight timeframe. Each entrepreneur and enterprise makes progress at a different pace. It depends on so many different things – product or tech development, market engagement, financial planning, costs and funding. Even though everyone starts on the same date, we don’t all finish in the same place. Progress is relative, but so are setbacks. It’s what you do next that’s now important. Given the energy and enthusiasm, risk and workload, and the serious challenges involved, I have the utmost respect for the real entrepreneurs who have trusted us to support them on this early part of their journey. If you do well, we do well. Thanks, and good luck! Ground Up’s first product to market, PaidAde, addresses a huge pain point for tradesmen. Tradesmen hate paperwork. After many years working in the construction industry, Ciaran knows and understands this pain point. Through experience and market feedback they have developed PaidAde, a tool that gives tradesmen back their evenings and weekends by digitally removing the paperwork tasks from their business. Lexi is an online platform that teaches non-native English speakers job-specific vocabulary. By harnessing the power of artificial intelligence, Lexi aims to change how people learn languages. They provide personalised, bite-sized language courses that are tailored to suit users’ preferred career path – that way they are learning the English they need to succeed in a working environment. Courses are constantly changing so that the content being learned is up to date and relevant. Fanled.ie is an Irish company that plans to save the music industry. They are bringing back real ownership for music fans and giving musicians the power to create their own future. This new crowdfunding platform allows fans to own a piece of publishing of a song they like, while at the same time giving direct revenue to the artist. Their goal is to be an agitator in the 21st-century music industry model and give both music lovers and music creators the power reap what they sow. Lucca Diagnostics will produce a non-invasive medical/life science diagnostic device to detect and diagnose Urinary Tract Infections. The device will make the collection, sampling, detection and diagnosis of live samples of urine and faeces a more efficient and infection-controlled process. The device is primarily aimed for use on unwell: paediatrics (0-16 years), pregnant women, the elderly, people suffering from urinary incontinence, and people who are incapacitated due to illness. Teeze is a dating app with a difference. It focuses not only on people matching but meeting face to face. Teeze makes it easy to break the ice, chat and more importantly organise dates. 90% of matches in mobile dating do not meet up. Teeze uses technology and innovative features to make dates happen. RYPT is an online platform for gyms and personal trainers to market themselves, attract new clients and add value to existing clients. It provides them with the tools they need to train their clients online, and motivate them to reach their health and fitness goals. Using RYPT’s platform, individuals can find the right personal trainer for their individual needs and get all the expert advice they need to reach their fitness goals, from workout programmes to nutrition plans to wellness monitoring, right at their fingertips. Dilution Solutions has developed a dilution device that makes it more cost-effective, safe and environmentally prudent to work with concentrate chemicals used at home and at work, for example, horticulture, cleaning and industrial chemicals. The device will be designed into a range of products for use in domestic and commercial settings. Kianda is a cloud-based business process automation platform that provides a very simple way for non-technical users to build complex process workflows made of professional-looking online forms, without the need for coding knowledge. It enables companies to streamline not only internal but also external business processes, opening up an entirely new perspective to inter-company collaboration. Bubblbook is a new way for activity providers to get in front of group organizers and take provisional bookings online. It’s also a new and easy way to organize group outings with automatic bookings triggered by interest. Bubblbook cuts all the hassle out of agreeing on the ‘who, what and when’ to focus on what matters – people getting together. Ekho works to provide improved experiences and analytics for tourist attractions. Their aim is to make every visit count. Ekho uses BLE beacons and an application on a user’s mobile device to provide a proximity-enabled guided experience in a tourist attraction. Their client-base is tourist attractions, who are offered a content management system and analytics dashboard accessed via the Ekho website to manage and observe the status of their guided experience. 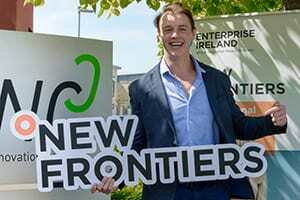 Former New Frontiers participant company, Immersive VR Education, was recently listed on the Irish Stock Exchange’s Enterprise Securities Market. The Waterford-based technology firm raised €6.7 million before expenses through listings on Dublin’s Enterprise Securities Market (ESM) and the AIM in London. The placing of 60,000,000 shares of 10p each implied a valuation of £19.3 million (around €21.6 million) on admission and the deal was oversubscribed. Immersive VR Education is a virtual reality (VR) and augmented reality (AR) software company dedicated to transforming how educational content is delivered and consumed globally. Their virtual reality teaching platform for schools, universities and businesses allows people to create a virtual classroom to bring together teachers and learners from anywhere in the world. The company was founded in October 2014 by husband and wife team, David and Sandra Whelan. David participated in the New Frontiers programme at Arc Labs (Waterford Institute of Technology’s Research and Incubation Centre) in 2016 and recommends the programme to ambitious entrepreneurs involved in a start-up business. A WIT graduate, he believes the AR/VR market is growing and as hardware becomes more affordable, growth will gain further traction. “We are at the forefront of this as a VR software and technology group operating in the niche education sector, we provide students, educators with a customisable learning environment. Immersive VR Education’s free, award-winning platform, ENGAGE, allows educators and trainers to put together their own content in a virtual setting, inspiring students whether in a classroom, lecture theatre, operating theatre, or on the surface of Mars. The company has also won global accolades for its showcase experience, Apollo 11 VR. This multi-award winning educational experience is based on actual events and recreates the full Apollo 11 mission, using original NASA audio and mission data recorded during the 1969 moon landing. It has recently been announced that the Apollo 11 VR experience will feature as part of the launch collection for Oculus Go. In 2017, the company also launched an early release experience of the wreck of the Titanic. The startup works with businesses and organisations such as Oculus, the BBC, HTC, the Royal College of Surgeons, and the University of Oxford. Post-IPO, the company is looking to establish ENGAGE as the world’s leading digital education and corporate training platform. Showcase events are a significant milestone for New Frontiers participants. It’s a chance to bring their startup to the attention of local business people, and potentially benefit from the added exposure that comes from winning one of the awards on offer. The Rubicon Centre (Cork Institute of Technology) held its showcase on Tuesday, 24th April at the Millennium Hall, City Hall, Cork. Joining the 13 New Frontiers graduates were Deputy Lord Mayor of Cork, Cllr. Fergal Dennehy; Martin Corkery, Regional Director Enterprise Ireland; Dr Barry O’Connor, President of CIT; Liam Fitzgerald, New Frontiers Programme Manager, Rubicon Centre; and Maria Gavin, Programme Manager, Enterprise Ireland. 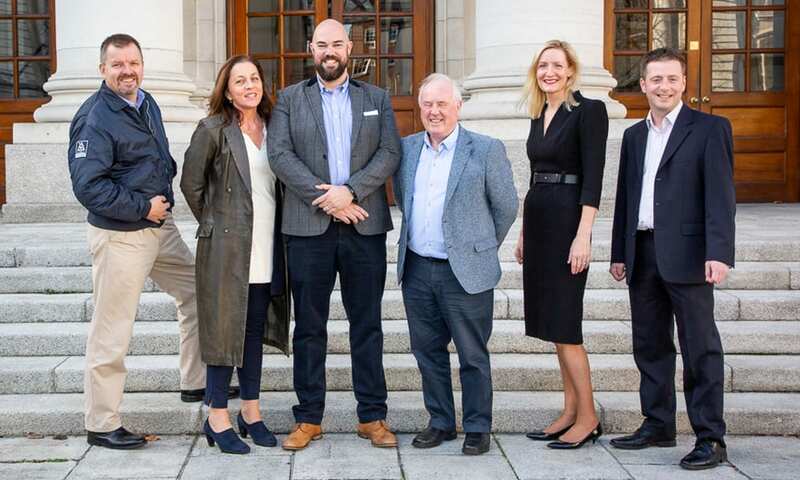 Also present were guest speaker, Tomás O’Leary (former Munster, Ireland and Grand Slam winning rugby player), and an expert panel made up of Orla Rimmington, Partner at Kernal Capital; Pat O’Flynn, CEO at Solvotrin Therapeutics; and Pat O’Connor, CEO at OrthoXel. The panel discussed startup themes such as raising finance, driving sales and the entrepreneurial journey. 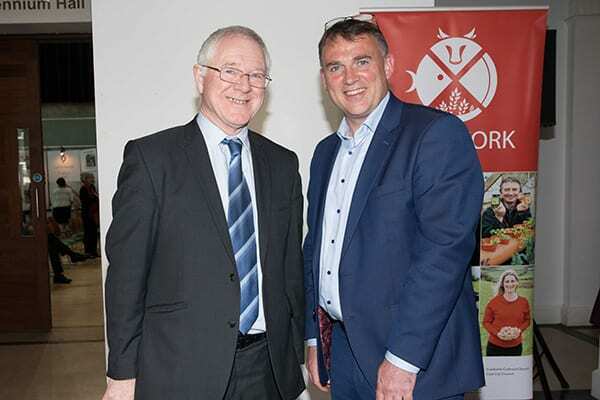 Senior leaders from business, academia and start-up support organisations in Cork and the broader region were in attendance, and members of the Taste Cork Network served up local artisan food. Awards were presented for Best Business Opportunity and Overall Winner, Most Innovative Business Idea, Best Business Plan, Best Trade Stand and Best Video. 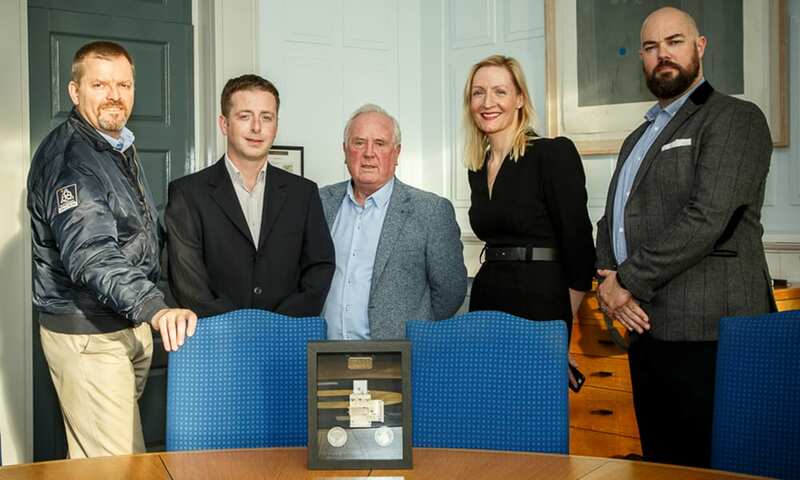 Award winners were chosen by an independent panel of expert stakeholders from RDJ Solicitors, AIB, EY, The Irish Examiner and Cork Institute of Technology. Guest speaker, Tomás O’Leary, former Munster, Ireland and Grand Slam winning rugby player, shared his experience in elite sport and how it applies to business. Tomás is co-founder of TOLD & CO, a designer watch brand. Tomás emphasized the role culture plays in professional sports teams. He explained that there is a direct link between fostering a team culture that expects high achievement, and success. This link is as relevant in business as it is in team sports. Winner of Best Video, Jamie Gale, Stamp Owl, Winner of Best Innovative Product CYCA OncoSolutions, Dr Nusrat JN Sanjhanitra, Liam Fitzgerald, New Frontiers Programme Manager, Overall Winner Joe Perrott, Remote Signals and Winner of Best Business Plan Kieran Gleeson, Freight Solutions. Former Munster Rugby Player Tomás O’Leary, Told & Co with Overall Winner Joe Perrott, Remote Signals. Overall Winner Joe Perrott, Remote Signals and Liam Fitzgerald, New Frontiers Programme Manager. President of CIT, Dr Barry O’Connor and Martin Corkery, Regional Director at Enterprise Ireland. Hospital systems are under pressure, now more than ever, with decreasing staff numbers and increasing patient numbers. Gasgon Medical is making a technology to support clinical staff in hospitals and home care environments globally through effective management of gas in fluids that can result in harm to patients. Our device reduces exposure to risks associated with air embolism during IV infusions. Gasgon products will enable medical staff to divert their attention to more pressing tasks, safe in the knowledge that their patients are being protected. The result will be less risk, less waste and improved efficiency leading to more predictable workflows and budget planning across hospital or home care environments. With Gasgon products, all patients can be INFUSED WITH CONFIDENCE. iLine Software Solutions offer an OEE (Overall Equipment Effectiveness) performance management software solution for production lines. Every year manufacturing companies lose millions of euros due to downtime on their productions lines. Our software solution enables these companies to save money by minimising downtime losses and other inefficiencies on their production lines. We automate the task of collecting data from the factory floor and our software presents actionable information in dashboards and reports in an intuitive way. iLine is the first fully model-based system of its kind. This means that our customers can implement our solution without incurring any software development costs. Typically our solution can be implemented without causing downtime on existing production lines. We offer the easiest to implement, easiest to use and lowest risk product on the market. CulturePro is the first online B2B cross-cultural training platform designed using next-generation technologies. CulturePro supports employees in real-time with customised, visual information, to improve employee communication in a fast growing, culturally diverse workforce. Developed in direct partnership with multinational companies it has been tailored to their needs to ensure employees are better prepared for intercultural communication at the office and during international business travels. CulturePro offers a personalised and gamified learning experience through its intuitive interface. 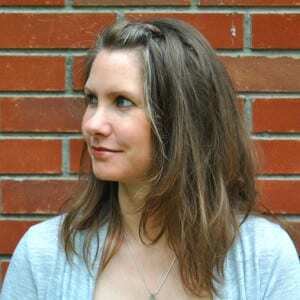 Dr Marie Therese Shortt, a Norwegian/ Irish visual communicator and keen traveller, came up with the idea for CulturePro after completion of her PhD in the area of Visualising Intercultural Communication. At ARQ, we are passionate about engineering asset reliability. We believe that every asset owner, manager, and operator deserves to experience the certainty that true asset reliability can deliver. Industries such as utilities/ power generation, manufacturing, and transport, rely on rotating machinery to produce product for the consumer, which in turn rely on good quality oil to operate reliably and continuously. Modern oils, however, degrade quickly because of heat and contamination, which results in failures. The cost to Irish industry alone is €1 billion annually in avoidable losses. ARQ consider the oil in a similar way to blood in the body and apply a low-cost continuous condition monitoring IOT system to allow asset owners monitor anything, anywhere, and at any time. MySitter finds professional childminders for your home. Childcare is a necessity for all working parents yet it remains one of the biggest contributors to stress, anxiety, and worry. MySitter finds, employs and insures the highest quality childcare professionals in Ireland. We adopt an in-depth vetting process which includes Garda Vetting, CV and reference checks. Our staff have childcare qualifications in Fetac Level 5/QQI or higher with at least three years of professional experience. We’re hiring the top 100 childcare professionals in Ireland. Our mission is to revolutionise working conditions. We reward MySitter employees with salary increases of 22% compared to current preschool roles. MySitter employees have the opportunity to progress their childcare careers like never before. Freight Station is a software as a service (SaaS) based platform for the road freight industry. Our aim is to connect freight forwarders, hauliers and their drivers on a single cloud-based platform. Our mission is to digitalise all business processes between these stakeholders. Our platform offers customers digitalised documentation and instant shipment notifications. Up to 25% of companies’ time is wasted using out of date paper-based systems. By using Freight Station customers have real-time information on shipments and are more proactive in providing their own customers with better service. We have successfully solved two of the biggest problems in the industry, proof of delivery and tracking of shipments. This is a Brexit ready solution for an industry that is digitalising now. Every individual and every company has things they want to be, do or have. Yet according to the ‘University of Scranton’ 92% fail to achieve their goals. PeakSoft addresses this issue with a software service that systematizes goal attainment. It helps individuals to figure out what they want, why they want it, how to get it and to do what is necessary to achieve it. It is the ultimate planning and organization software that helps users to become more efficient with their time and more effective with their actions. The B2B version targets SME’s with advanced project management and performance tracking features. It maximizes synergies between cross-functional teams to achieve corporate goals. Biomolecular nanomachines for programmed drug delivery! Cancer drugs are toxic and we all know how chemotherapy makes patients very sick during the healing process. CyCa OncoSolutions has developed a biomolecular nanomachine as a high speed, high precision drug delivery device. Our device works like a molecular drilling machine and carries drugs across the cell membrane as you carry your luggage through automatic doors. It is like molecular FedEx for drugs. FedEx delivers your parcels at your doorstep and our device delivers drugs precisely at its cellular target site with 1/10th dose. This will improve the quality of life of fifteen million cancer patients worldwide, advance the global fight against cancer and reduce the public health burden. Remote Signals enables businesses to easily obtain operating data from remote assets using their Internet of Things (IoT) hardware and software platform. These assets can be varied, for example current applications include temperature of cold chain refrigeration stores, operating parameters of industrial machinery, farm soil conditions, etc. Our hardware platform represents the world’s easiest way to connect remote assets; our cloud computing platform makes those assets ‘smart’. This combination of ‘connected’ and ‘smart’ opens up previously untapped revenue opportunities and benefits for the assets’ owners. The Remote Signals platform is live, and being used all around Ireland and parts of the EU today. Behind the Lumin House brand, we are a team of passionate professional photographers, dedicated to our craft and the search for innovative ways to make life that little bit easier. Our product is a beautiful, online photo storage system that becomes the gallery of a lifetime for a photographer’s clients. We put the photographer first, not just in generating extra income through our unique commission-based revenue system, but also, moving the responsibility of long-term image storage to the client. We are dedicated to providing your clients with a beautiful, safe and convenient way to store and show off their pictures to friends and family, wherever and whenever they want to. StampOwl is an app for your phone that allows you to send real, physical Postcards from your smartphone in 3 easy steps! StampOwl also provides businesses with a unique marketing opportunity. Businesses now have the opportunity to utilise a customer’s network of close friends and family to advertise their products/services by means of recommendations. When a customer is in the geographical location of one of StampOwl’s Business clients, they receive a push notification inviting them to send a free Postcard. The Postcard arrives containing an advertising banner along the bottom, designed by the business. This unique solution can help a business expand its customer base and directly increase sales. Get 50% off your first Postcard now. Just download StampOwl from the App Store or Google Play store and enter the coupon code “SAVE50” at the checkout. Offer available while stocks last! Live music is a globally growing market, and selling concert tickets and merchandise is a cornerstone activity for many musicians. The “merch stand” is a familiar staple of most live events, and a chance for newly-minted and established fans to bring home a t-shirt or recording as a memento of a great night out. MerchKitty is a smartphone-friendly SaaS platform that empowers musicians to make more from their merch stand and increase their merchandising revenue. MerchKitty allows musicians to accept simple and secure digital payments for point-of-sale and preorder sales, build relationships with fans, automate inventory management, and gain data-driven insights into their touring and merchandising business. If you’re interested in applying to the New Frontiers programme, you can express your interest here. Or find out more about what’s on offer at the Rubicon Centre. Of all the feedback received from entrepreneurs over the years, one key benefit of the New Frontiers programme stands out consistently: how crucial networking and peer support has been for their entrepreneurial journey. New Frontiers participants get a wide range of supports on the programme. For some, learning sales and marketing skills, or successfully pivoting their idea, or preparing for export are the difference between success and failure. But another characteristic of the programme is that it’s cyclical, and all entrepreneurs (typically, around a dozen at each location) start at the same time and work out of the same incubator. They face their business hurdles together, even though they’re each working on their own project, and celebrate milestones with their fellow participants. Insights and learning are swapped on a daily basis, as the focus is on collaboration, not competition. 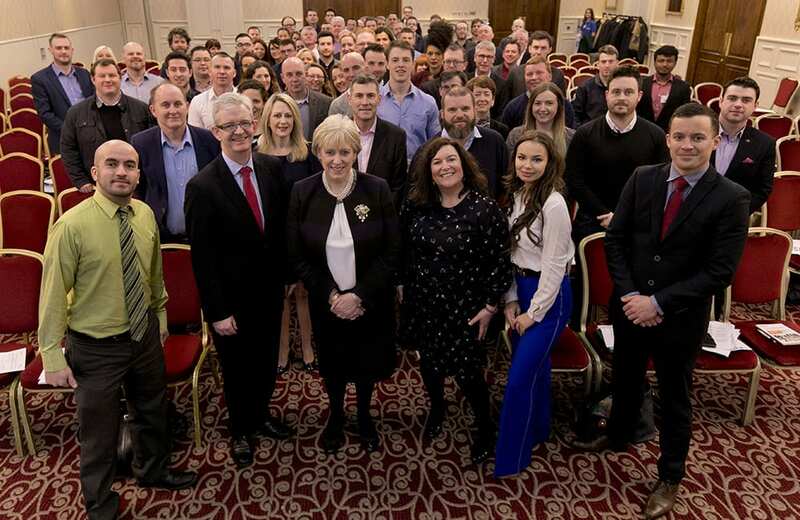 So it’s an added bonus that Enterprise Ireland organises a yearly networking event, where all the participants from the previous year – from the 16 locations around the country offering the programme – can come together and network. From speeches, presentations and inspirational talks from alumni in the morning, to dedicated one-on-one networking sessions in the afternoon, it’s a day not to be missed. 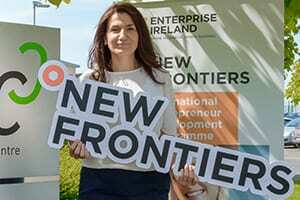 “I’m pleased to learn that 2017 proved to be a record year for the New Frontiers programme with 164 entrepreneurs moving through Phase 2. 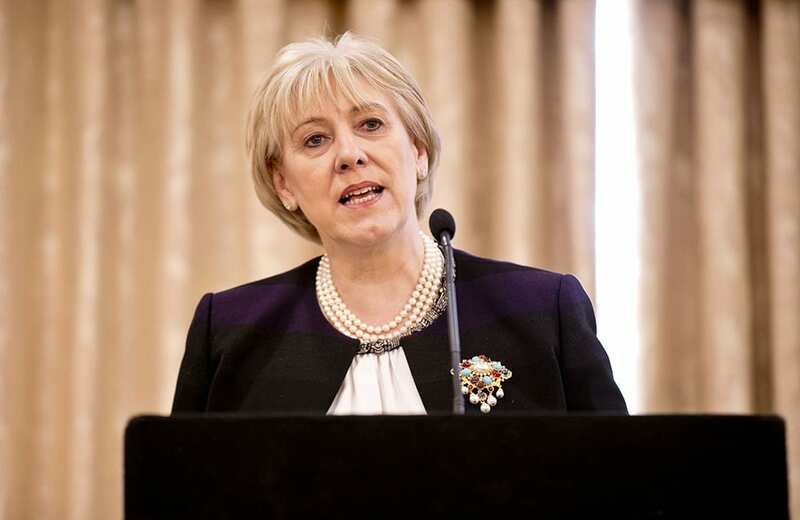 Enterprise Ireland, together with the Institutes of Technology, work to continually develop and improve the programme and so, I’m delighted to tell you that a third phase is currently being developed and will be piloted later this year. This will no doubt be of immense benefit to those participating! 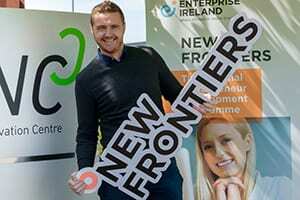 New Frontiers is the perfect way for early-start companies to position themselves for further HPSU supports. Over 30% of Competitive Start Fund awards go to New Frontiers alumni, with the potential then to become Enterprise Ireland clients and play an important role in the Irish business community. 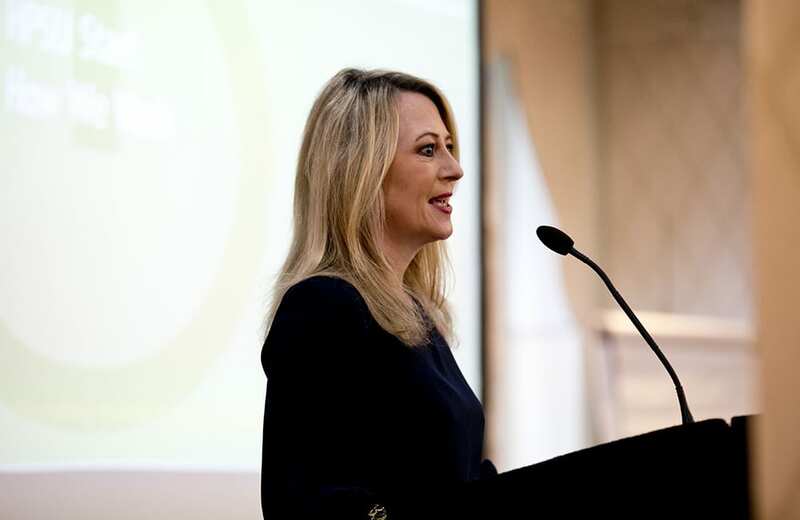 After the Minister’s address, Maria Gavin, Manager of the New Frontiers Programme at Enterprise Ireland, gave an overview of the day and thanked everyone involved in making the programme such a success. 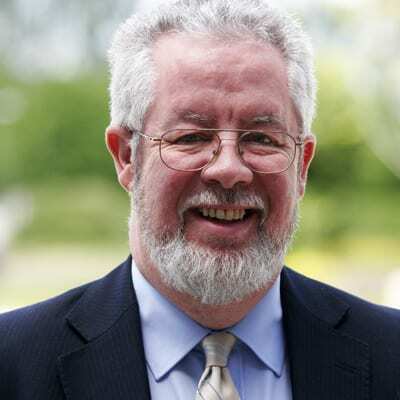 “I’d like to underline the uniquesness of New Frontiers as a truly national programme, having a significant regional outreach through the IoTs enabling would-be entrepreneurs from all differing parts of the country to benefit from a professional and comprehensive educational programme. The morning was packed with information. There was a presentation of the HPSU Unit from Sarita Johnston, Manager of HPSU Start at Enterprise Ireland, a Q & A, and a panel discussion with previous participants. 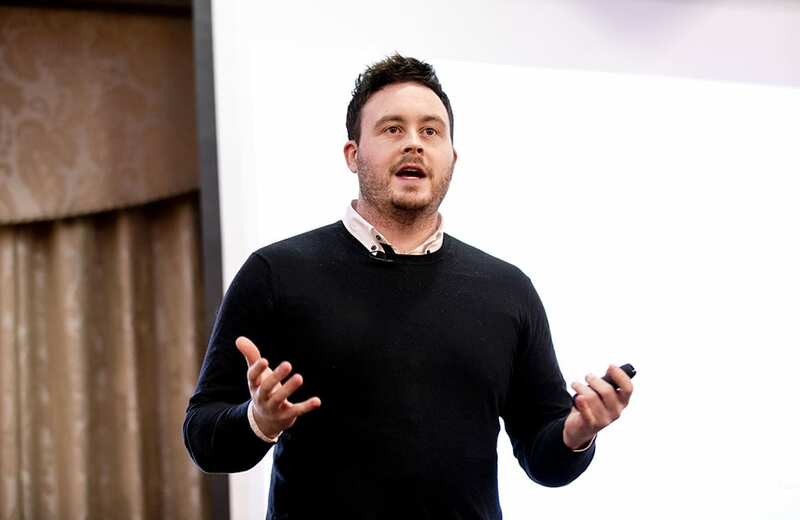 Attendees were also treated to some fascinating insights from three highly successful alumni, James McElroy (HouseMyDog), Michael O’Dwyer (SwiftComply), and Ross O’Dwyer (Pundit Arena). Feedback from attendees was extremely enthusiastic. Everyone agreed that the opportunity to meet with the wider New Frontiers community was invaluable, and the afternoon’s pre-booked networking sessions proved very fruitful. Many entrepreneurs disclose that isolation is one of the key limiting factors when building their business in the early days. A programme such as New Frontiers helps to beat this phenomenon with its collaborative approach, incubation facilities, group training events and access to mentoring. Events such as the annual networking event are the cherry on the top! 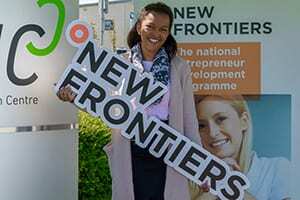 If you have a business idea and are interested in applying to New Frontiers, discover more here! Discover a few of the entrepreneurs from the class of 2017! Dmbook Pro is a Dublin-based company providing ICT solutions for hotels. With over 10 years in hotel management, Bruno Lanvin recognised flaws in the traditional spreadsheets, paper and email communication network used in hotels all across Europe. It was this initial observation that lead to the creation of Dmbook Pro. Bruno’s brother, Rémi Lanvin, a web developer, helped create this online diary as a side project. At this stage, the online diary functioned by allowing users to simply go between dated pages (today, tomorrow, last year, next year) and input simple text entries. Particularly useful was how users could set goals and mark them as done. Bruno brought this prototype to the hotel he worked for and from here the stone that caused the ripple of interest across the hotel industry was thrown. After 18 months, whilst still working full time and developing this project on the side, Bruno and Rémi had paying customers. It was this growing interest that caused the brothers to stop looking at their creation as a project and instead as a company. They created a business plan and within one year secured 85 customers across 8 countries, including the USA. As much as they could value their strengths, they could also recognise their weaknesses. Bruno knew that his in-depth knowledge of hotels, although key to his success so far, would not be enough to take his company to the next goal – a multimillion euro international business. As he says, “Hotels are not start-ups,” and so Bruno visited a Start-Up Ireland event in Cove. It was here he learnt of New Frontiers and after sending his application was invited to pitch for Phase 2. Bruno attributes this to the direction they received regarding finances: how to raise finance, how to approach investors, who to approach, how to duplicate the success they had had so far, and how to secure more clients. Other invaluable support included sales and marketing advice, and valuable networking – being a part of a community of knowledge for start-ups, they could ask questions and get the answers they needed, while also exchanging experiences and learning opportunities with other participants. Dmbook Pro has expanded from its brotherly beginnings to a company with five employees and big ambitions. With this new expertise on board, they have created a fully functioning website, are currently developing a mobile app for Dmbook Pro and are targeting English-speaking markets, including the USA. Their goal is clear: to be in over 3,000 hotels by the end of year 3 in western Europe. If you’re a New Frontiers startup in manufacturing or internationally traded services including internet, games, apps, mobile, SaaS, cloud computing, enterprise software, lifesciences, food, cleantech and industrial products, then the latest call for Competitive Start Fund applications could be the funding opportunity you were looking for! A total of €1.5 million in startup funding will be available from Enterprise Ireland when two Competitive Start Funds (CSF) open for applications on Wednesday 21 June 2017. Up to 30 successful applicants will receive high-level business development support and an investment of up to €50,000 each through the Regional Entrepreneurship and Fintech CSFs. Startups located outside of County Dublin are invited to apply to the €1m Regional Entrepreneurship CSF – this fund is also open to participants of the New Frontiers Phase 2 programme nationwide. Applications to the €500k Fintech CSF will be accepted from early-stage companies offering a Financial Technology (Fintech) product or service. What can CSF do for you? 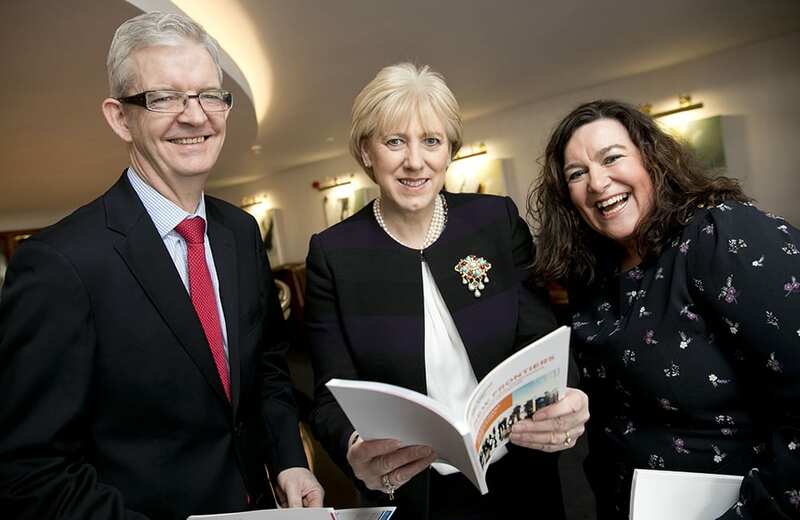 Enterprise Ireland’s CSF is designed to accelerate the growth of startups and enable companies to reach key commercial and technical milestones. The goal of CSF is to provide support for companies that have the capability to become High Potential StartUps (HPSUs). What defines an HPSU? The potential to develop an innovative product or service for sale on international markets and the potential to create 10 jobs and €1 million in sales within 3 to 4 years of starting up. The funds are open to companies active in manufacturing and internationally traded services including internet, games, apps, mobile, SaaS, cloud computing, enterprise software, lifesciences, food, cleantech and industrial products. What is new this time around? This call is open to anyone who has participated in Phase 2 of the New Frontiers Entrepreneur Development Programme at some point in the past 3 years. Applications open on Wednesday 21 June 2017. In addition to written online applications, companies will be asked to prepare an online video pitch. Companies must meet certain eligibility criteria and applicants may apply for either the Regional Entrepreneurship or Fintech CSF, but not both. Both competitions will close at 3pm on Wednesday 5 July 2017. If you’re interested in applying, take a look at our previous article, Making a successful Competitive Start Fund (CSF) application, which explains the marking system and has a variety of additional tips and resources. The Enterprise Ireland website also has some great CSF case studies and videos with entrepreneurs who have previously received funding. 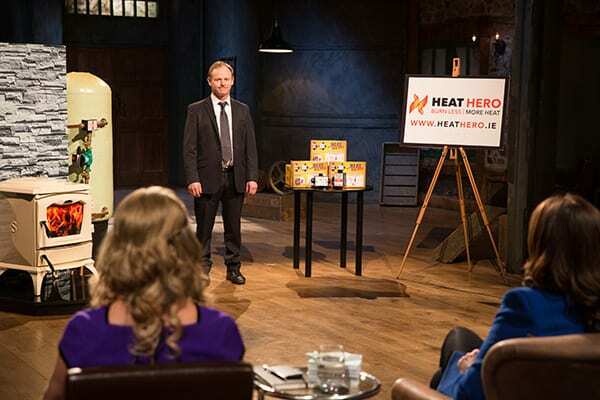 Some fantastic New Frontiers startups have appeared on RTE One’s Dragons’ Den. The programme is addictive viewing for anyone interested in entrepreneurship, investment and business, with founders from every industry squaring up to face the Dragons’ tough questions. We decided to catch up with two alumni who secured investment during the latest season of Dragons’ Den. What made them step into the Den? What’s it like to pitch to such a formidable panel? What, if anything, would they do differently? Art and Adrienne McArdle founded Heat Hero in 2015. Their product is an innovative solution to improve the efficiency of solid fuel heating systems. The manifold can be retro-fitted onto any system, and because it doesn’t have any electrics or moving parts it requires no future maintenance. Art is the technical know-how behind Heat Hero, while Adrienne runs the day-to-day of the business. They had originally applied to Dragons’ Den in 2016, but as it was quite early in their startup journey, they didn’t get through the application process. 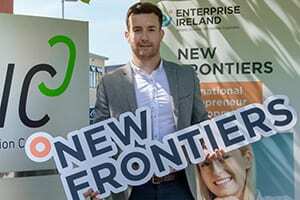 They joined the New Frontiers programme at Dundalk Institute of Technology, and used an Innovation Voucher from Enterprise Ireland to carry out further research into the product. They were teamed up with a mentor to help them develop the business, and Heat Hero went on to win a Best Innovative Product Award at the SEAI’s Energy Show 2016. The next step was to get their product tested and approved. This testing was carried out by independent UK experts, Kiwa Gastech, and Heat Hero was awarded its safety certificate. The solid fuel body, HETAS, now lists Heat Hero as an approved product (in both the UK and Ireland). Art and Adrienne took all the critical steps needed to corroborate the effect of the Heat Hero on a solid fuel system – it has now been proven to improve the efficiency of a solid fuel heating system by up to 30%. With this validation in place, Art and Adrienne reapplied to Dragons’ Den. With their product now stocked in 100 stores around the country, they had the sales and feedback they needed to prove the viability of their business. There are 300,000 solid fuel stoves in Ireland alone. With the backing of a Dragon – the investment they bring, but also their experience and networks – the market potential is huge. As Art was going to be the one to pitch, Adrienne coached him relentlessly on the minutiae of the company’s financials, popping random questions at him out of the blue so that he was ready for anything. What viewers may not realise is that interviews with the Dragons can sometimes go on for an hour and a half, far longer than the short scenes we see in the final programme. Every aspect of the business is covered; the Dragons ask all kinds of questions before coming to their decision of whether or not to invest. “By the time you walk out in front of the Dragons, you’re so outside of what a normal day feels like that you almost get what I would call a second wind. You’re really nervous, but you’ve come so far that you know you can’t let the nerves get the better of you. I knew I only had one shot, and that was it! Art was one of those lucky entrepreneurs who gets competing bids for investment: an offer of €60,000 for 32% from Eleanor McEvoy and €60,000 for 30% from Gavin. He asked the Dragons if they would consider investing together, but that idea didn’t appeal to Eleanor… after some consideration, Art chose to accept Eleanor’s offer, even though she wanted a slightly higher percentage. Participants can’t publicise their appearance until two weeks before the programme airs, but once the embargo is lifted, a canny entrepreneur can maximise the publicity generated by an appearance on a prime weekend TV slot. During those two weeks, Art and Adrienne spoke to as many contacts and prospects as they could, and got in touch with local newspapers and radio stations. The next steps for Art and Adrienne will be to look at working directly with County Councils to install the Heat Hero at the same time as the heating system goes in, as well as extending their retail network in Ireland and pushing into the UK market. They also have a new product coming out that will make wood systems work better, which is an important development because so many people would prefer to use a sustainable fuel like wood instead of fuels such as coal. 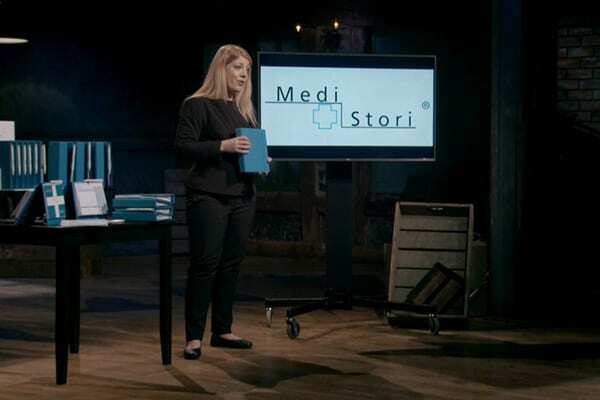 The MediStori is an organiser that allows patients or their carers to keep all their health information in one place. It’s a paper-based system that takes the stress out of managing an illness or health condition – you can keep hospital correspondence, notes, prescriptions, appointments, medical cards, and health records in an easy-to-reference booklet that never needs recharging! Olive’s three children suffered from acute illnesses when they were young, and Olive herself has an ongoing health condition. 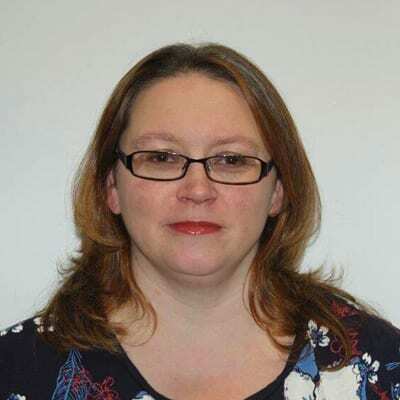 It was as a result of having to manage multiple health and medication regimes within the family that she developed a notebook system that eventually became the MediStori health organiser. With help from New Frontiers, HSE backing, and extensive research with patients, carers and health professionals, Olive designed a family health manager suitable for monitoring all types of chronic illness, or even just keeping track of a new-born’s development. In January this year, Olive decided it was time to take her business to the next level. She had signed a big supply contract and cash flow was going to be an important part of making sure her business was sustainable. Olive researched a few investment options and decided to send an application to Dragons’ Den. She met with the producers, who took her through the financials of the business and the other elements required. She was accepted to go forward to the show, and went through the second application phase. However, no part of the process is shared with the Dragons, they know nothing about the business until they meet the entrepreneur in front of the cameras. Appearing on the show involves a long day at the studio. It’s not just your pitch you have to worry about – there are pre interviews and post interviews too, plus the obligatory trip to hair and makeup! Pitch coach, Catherine Moonan, is on hand to help the promoters refine their pitch and prepare for the Dragons’ questions. Olive prepared for the Den with two mentors, Attracta Burke and Donncha Hughes, and met with an entrepreneur who had successfully been through the Den experience. She rehearsed her pitch with friends, but also told them to ask her all the tough questions they could think of to prepare her for any curveballs that might come her way. An important part of Olive’s pitch was the story behind her startup. For some people it might be their education, or their experience in a market, whereas the reason behind Olive’s startup was a deeply personal one. There was a moment during Olive’s pitch where confusion arose about the figures she gave for her monthly outgoings. Chanelle McCoy declared herself out based on the company’s running costs being too high, but the figure Olive had given was actually for projected costs based on future growth. Going into the Den, Olive had already identified Barry O’Sullivan and Chanelle McCoy as her ideal investors, although she would have been delighted to work with any of them. Barry offered her the full €80,000 investment, with a small royalty payable on each product until his investment is recouped. Just how hard did Olive have to think before accepting? The future is looking very busy for Olive. She has signed a contract with United Drug Consumer, and sales of the product soared after the show aired. MediStori will be in another 80 pharmacies by the end of the month, which is twice as many as Olive’s target. She is opening up both B2B and B2C opportunities for the business, and has been careful to ensure her PR and marketing strategy is positioned to benefit from the amazing exposure that TV and radio appearances bring (she was also on the Ryan Tubridy show the following day, and then the Today Show with Maura and Dáithí later that week). One unexpected result of appearing in the Den was the huge volume of traffic that the MediStori website got. There were 10,000 visitors in the 24 hours after the show aired, with another 15,000 checking the site during that week. The website couldn’t cope with the traffic and went down, which meant Olive had to very quickly connect with anyone and everyone who might be trying to get in touch or purchase a product. She sent out personal emails to all her contacts, and kept everyone in the loop on social media with regular updates. 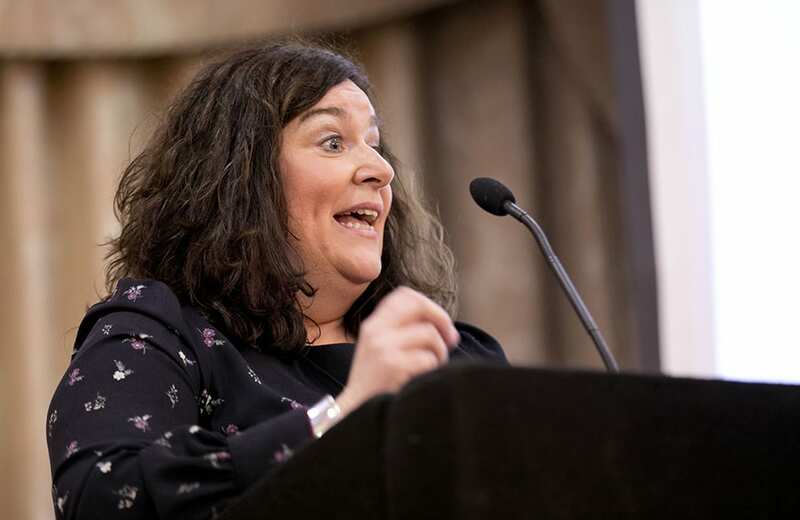 Another smart thing Olive did was get lots of momentum going in the lead-up to the programme, reaching out to all her contacts to let them know she would be on Dragons’ Den and sharing the relevant Twitter hashtags. She got a lot of response on social media, with 22% of the company’s sales that weekend coming from Twitter. Are you thinking of stepping into the Den? Quite a few New Frontiers participants have appeared on Dragons’ Den over the years, and a number of them have been successful in raising investment. This year saw Sarah Kiely, founder of Sadie’s Kitchen, win over Alison Cowzer in Episode 2, for an investment of €50,000. Evan and Gerard Talty appeared in Episode 7, and secured investment from Alison for their startup, Wild Irish Seaweed. Noreen Doyle, of the Irish Biltong Company, was also offered investment earlier in the season, but chose not to accept the Dragon’s offer. If you’re thinking of stepping into the Den, the consensus is definitely: GO FOR IT! Even if you don’t win the investment you were hoping for, it’s an invaluable experience and will prepare you for future pitching opportunities. The process of going through your financials and business proposition is very useful, too; it will help you to firm up your business plan and get feedback from experienced business people which could lead to a pivot or new opportunities you had never even considered. And, of course, there’s no such thing as bad publicity… simply appearing on the show will get you the kind of exposure that other startups can only dream of! BriteBiz is a Galway-based technology company that specialises in end-to-end business management software. 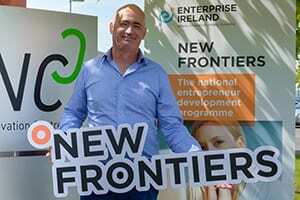 The company’s CEO, Eamon Crosby, took part in the Enterprise Ireland New Frontiers programme in Galway-Mayo Institute of Technology. Since qualifying as a Chartered Accountant with PwC 12 years ago, Eamon Crosby has been involved in founding and managing a number of different companies, mainly in the service and events industry. “I had been involved first hand in managing and scaling various companies. We constantly came up against roadblocks with the amount of administration load involved and continually sought ways to streamline processes. Although we were always using modern management tools such as Salesforce and Quickbooks, there was no efficient way to integrate them and create a streamlined, end-to-end solution.” notes Eamon. He points out that, “Over my years at PwC, I had worked with several large blue chip companies that used highly bespoke and integrated systems, such as SAP or Oracle, but this same streamlined process did not seem to be available for small and medium sized companies, particularly those that wanted a cloud solution.” After many failed attempts to find a better integrated cloud-based solution for SMEs, he decided to go it alone and set about developing the solution for himself – and so the adventure began. After a successful deployment within the initial early adoption customers, Crosby and the rest of the team started to notice that other companies across different industries, and across the world, were suffering from the same problems and pain. The application has become a particularly good fit for the hospitality industry. “We work with several hotels and provide them with powerful tools for their sales and marketing teams to manage weddings and events,” notes Eamon. “We knew that there was a huge potential market for BriteBiz, but there was a significant challenge in developing the correct sales and marketing strategy to achieve this. 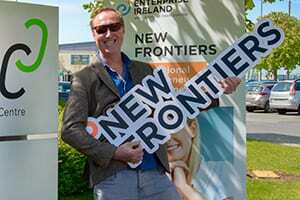 We became aware of the GMIT New Frontiers programme and decided to apply. The programme has been hugely beneficial in formulating a strategy and developing the best route to market for BriteBiz, we would highly recommend it to anyone starting off a new business, particularly in the tech sector,” says Eamon. 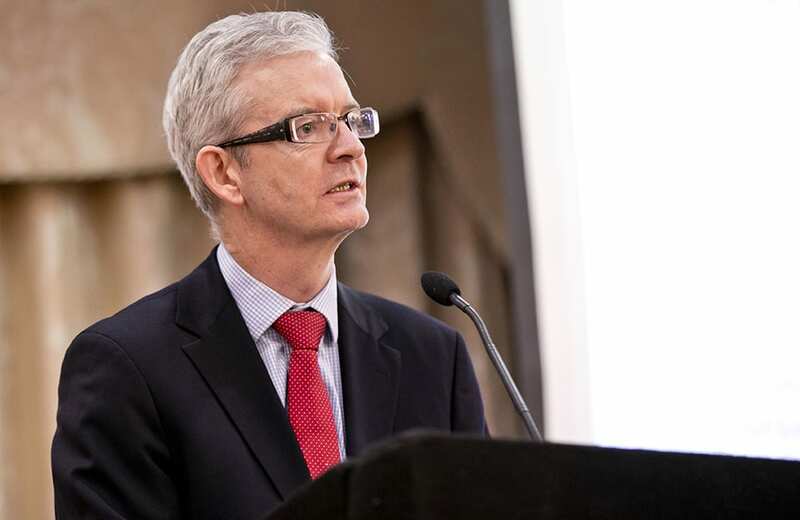 The company plans to grow its workforce within Ireland over the coming months and years. If you are a company looking for the perfect end to end business management solution, or you are looking for a role with an exciting tech company, take a look at the BriteBiz website. 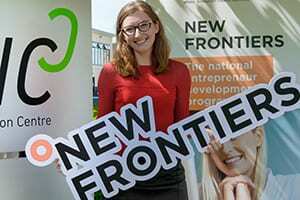 The New Frontiers programme at Galway-Mayo Institute of Technology is delivered at Innovation Hubs in Castlebar and Galway.